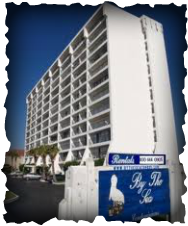 By The Sea is 12 stories and located on Seawall Blvd, right across the road from the beach. Amenities include: Controlled Access Building | Unassigned Parking | Party Room | Coffee Bar | Swimming Pool | Tennis Courts. Ample Boat Parking.